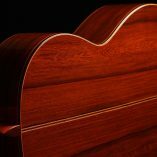 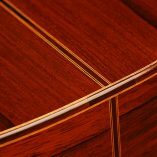 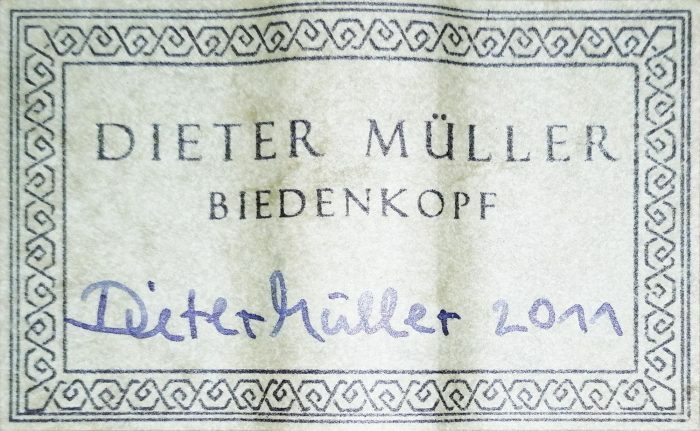 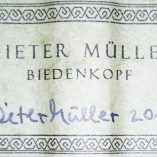 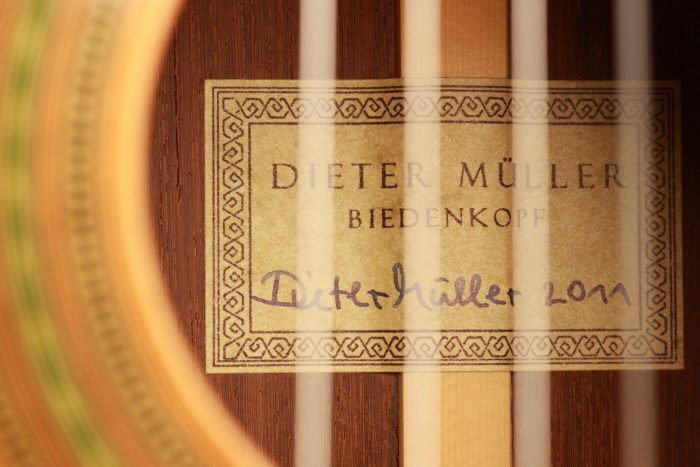 Dieter Müller is a highly regarded German guitar maker, specialized in building Double-Top guitars. 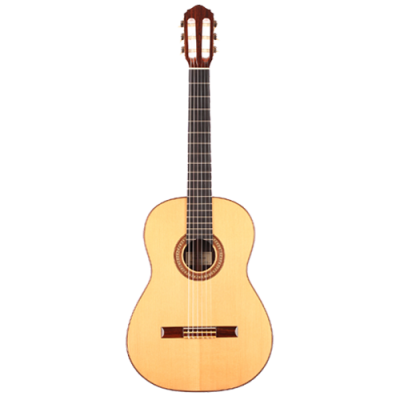 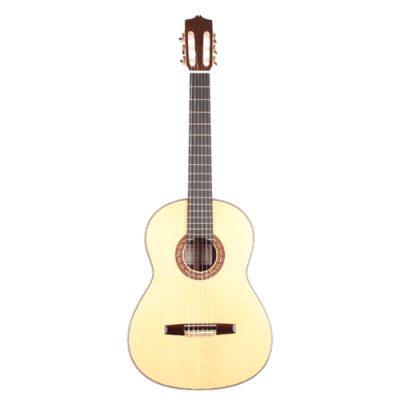 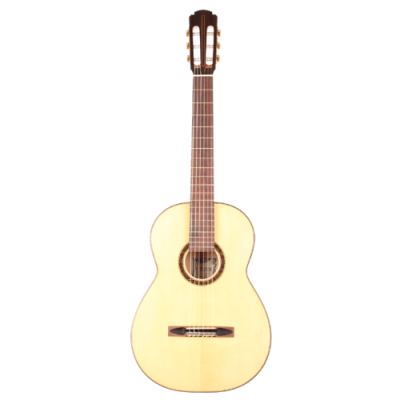 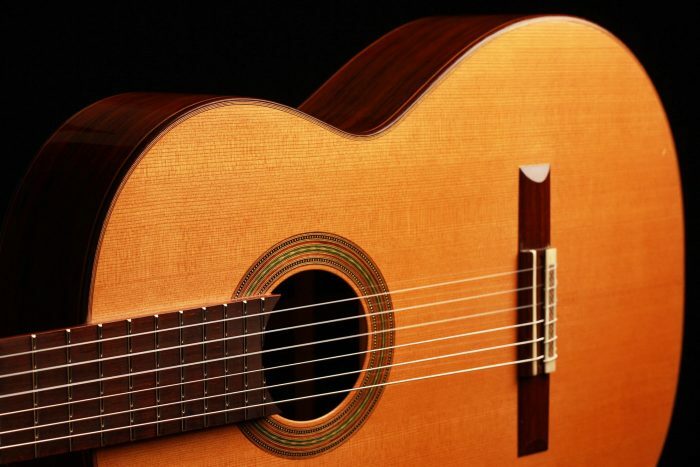 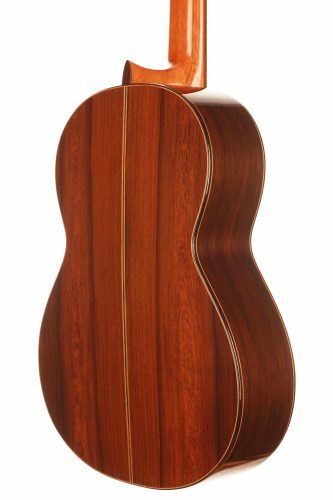 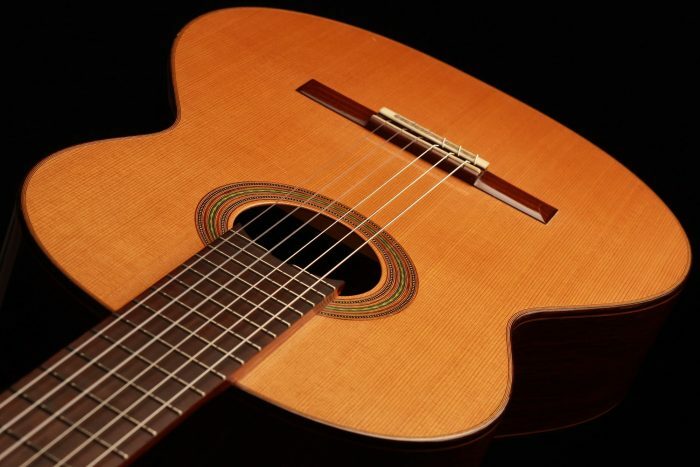 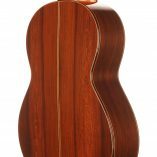 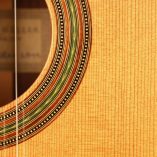 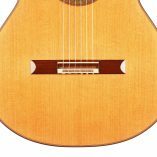 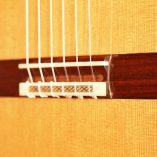 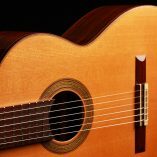 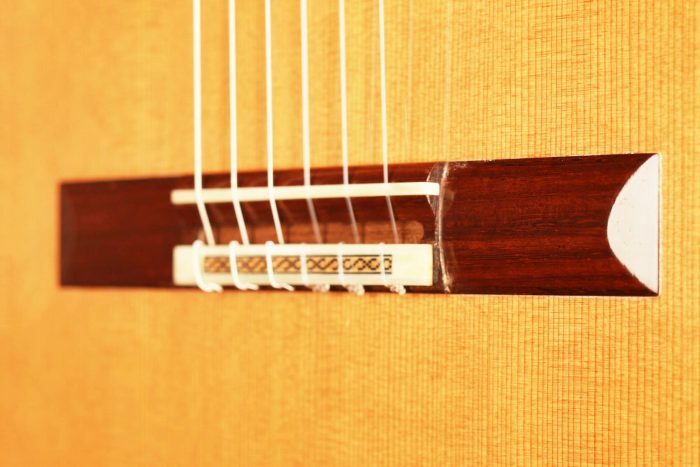 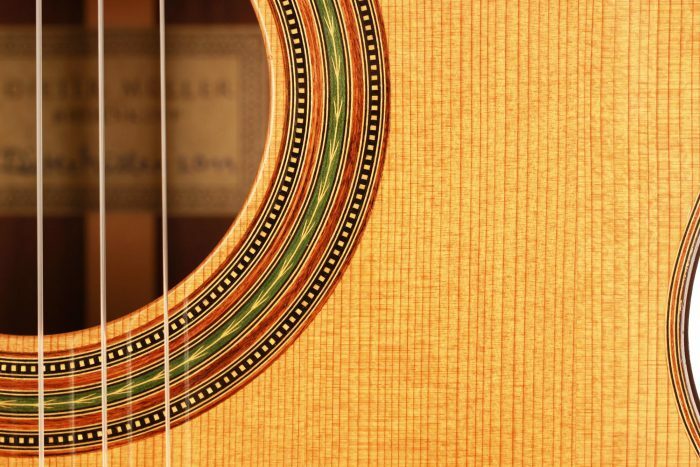 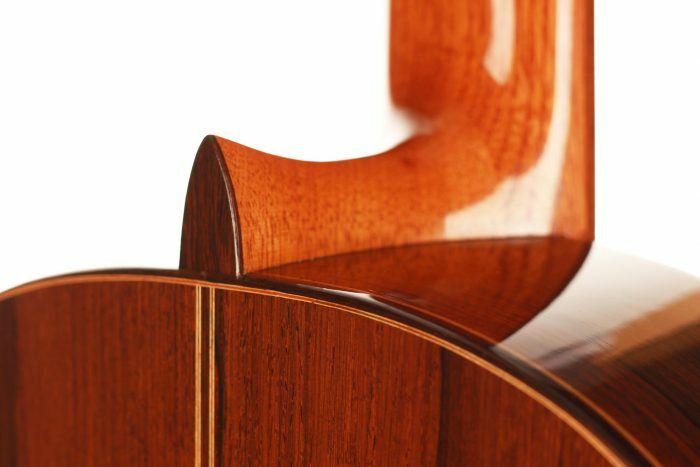 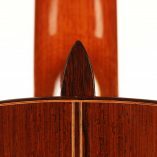 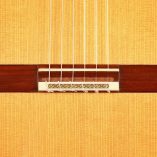 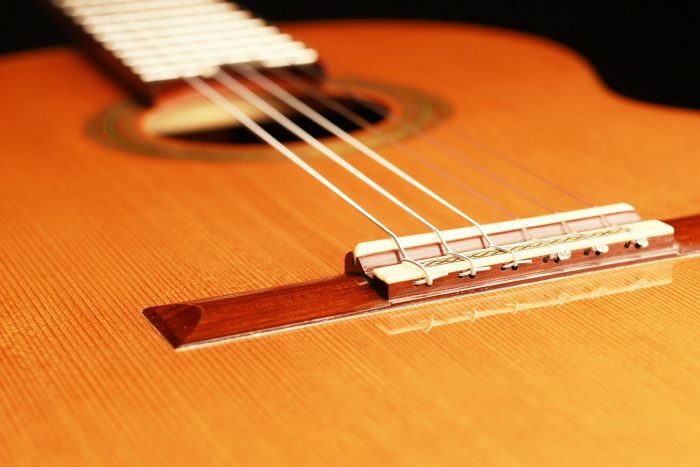 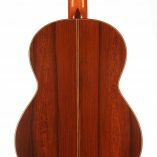 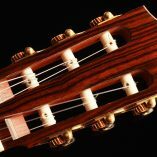 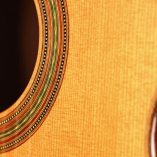 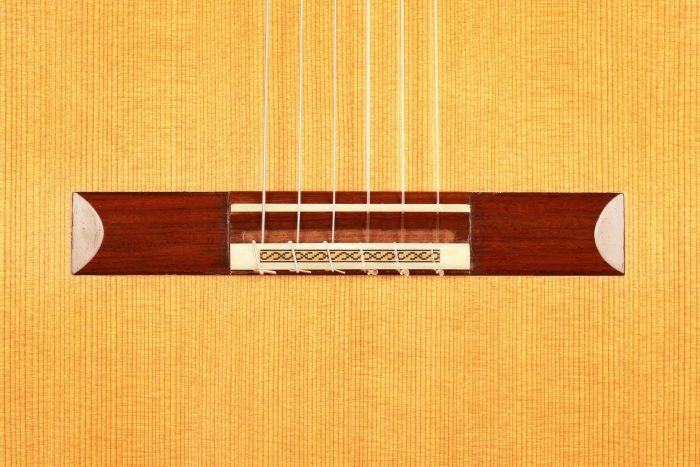 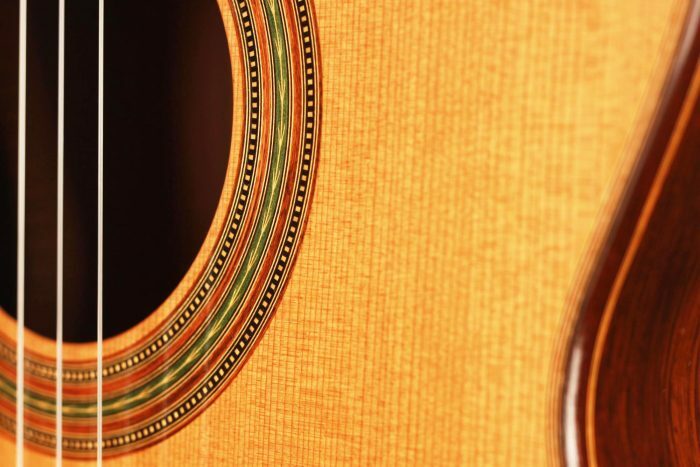 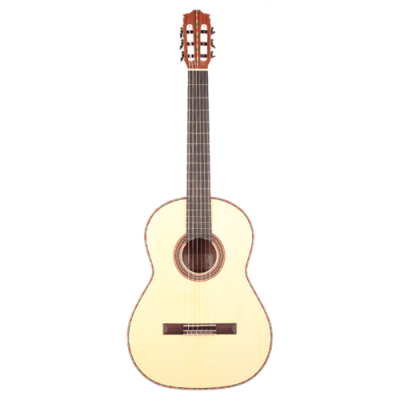 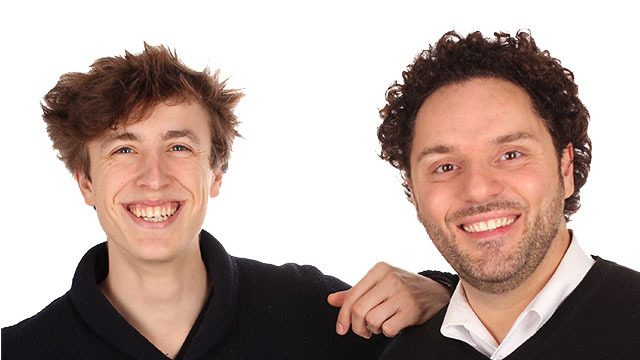 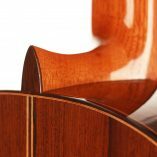 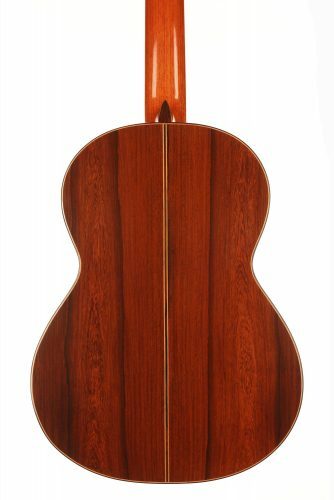 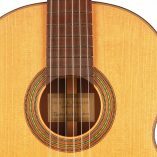 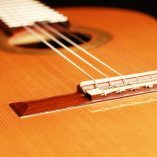 Since Matthias Dammann, German guitar makers are specialists in term of Double-Top guitars. 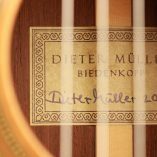 Dieter Müller’s instruments are particularly thought after for their tone quality and richness of sound colours as well as for their huge volume. 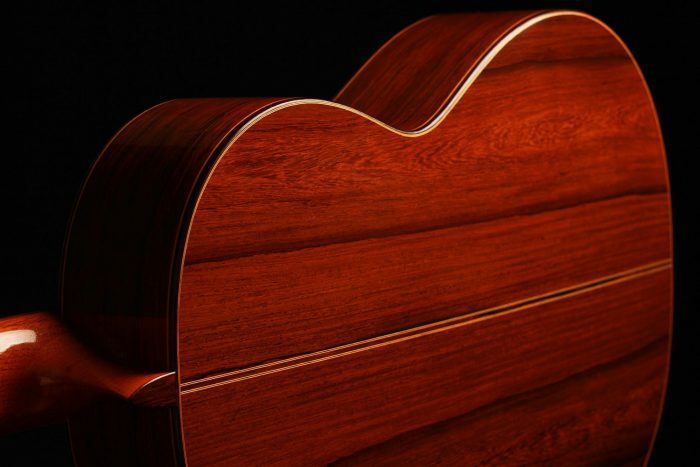 The craftmanship is of a very high level. 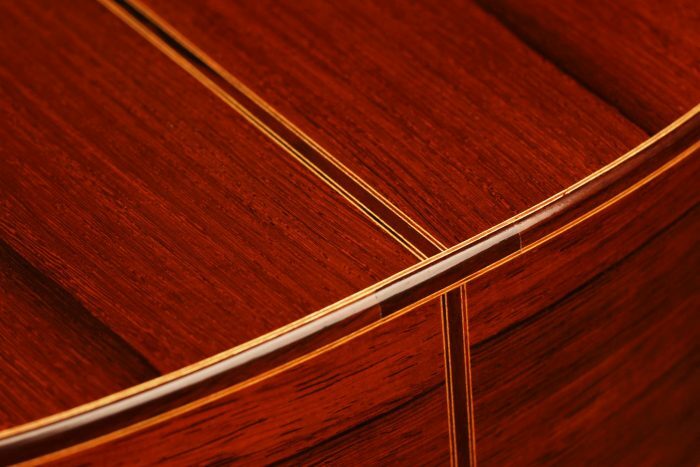 This guitar is a double top with a seven-strut fan bracing built in 2011. 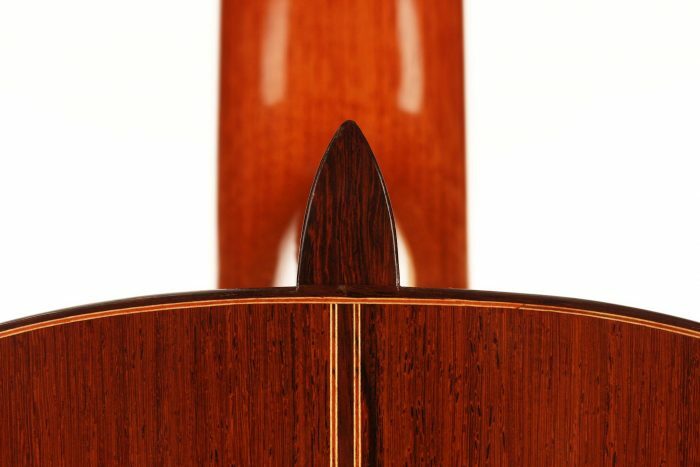 It is in astonishing good condition, almost as good as new. 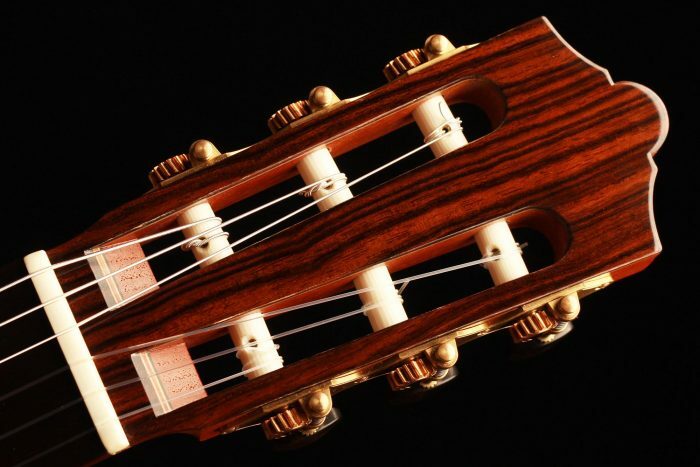 The rosette is inspired by Torres and the instrument is particularly decorated. 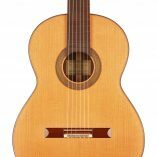 It is the lightest guitar built by D. Müller that we have ever had. 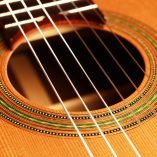 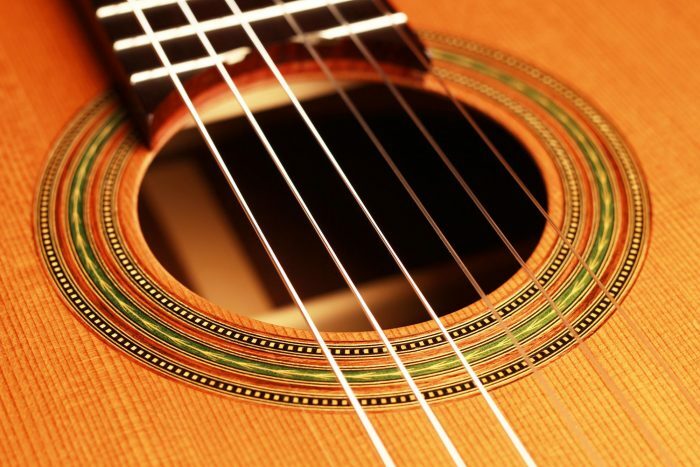 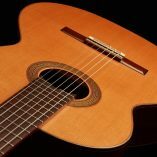 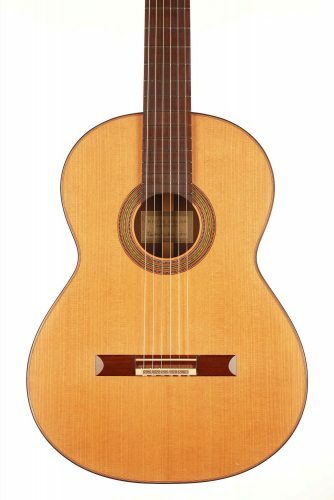 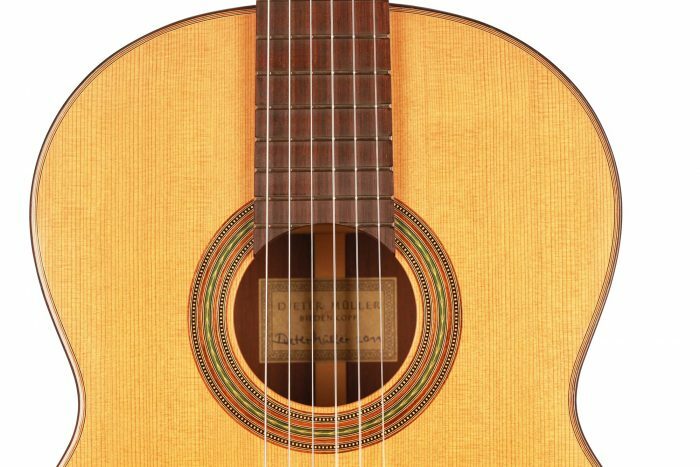 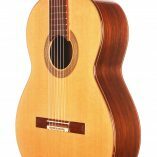 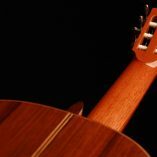 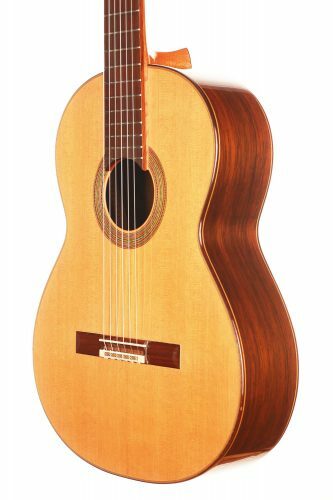 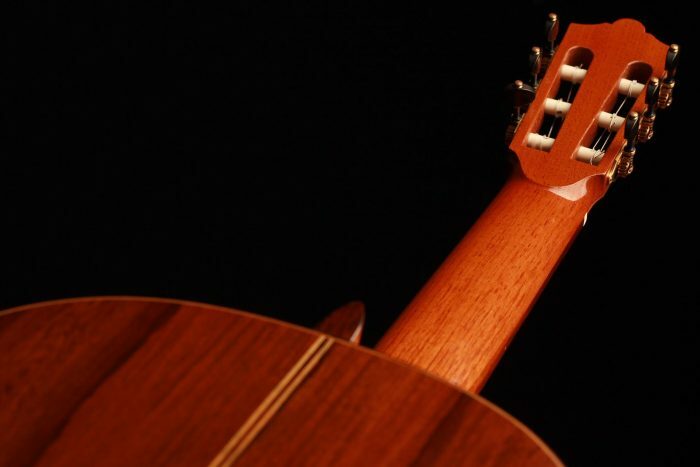 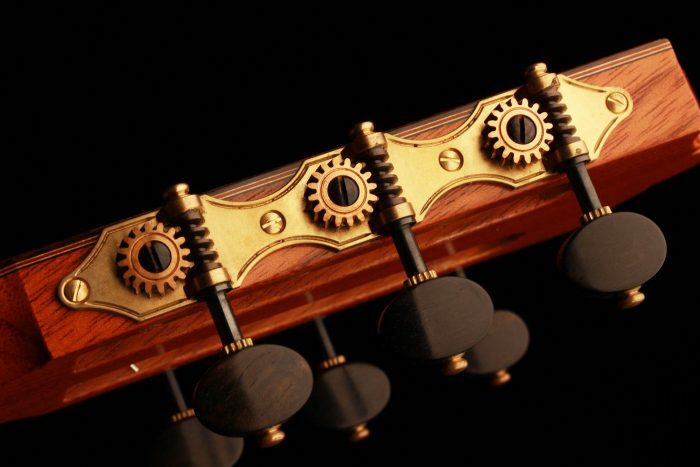 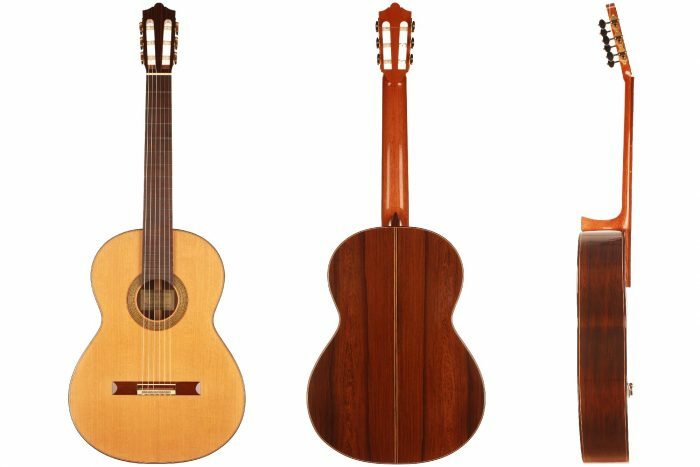 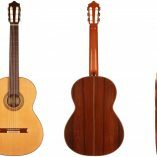 It weighs only a little more than a kilogram, which is comparable to a guitar made by Enrique Garcia. 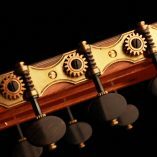 This lightness gives it a fantastic reactivity. 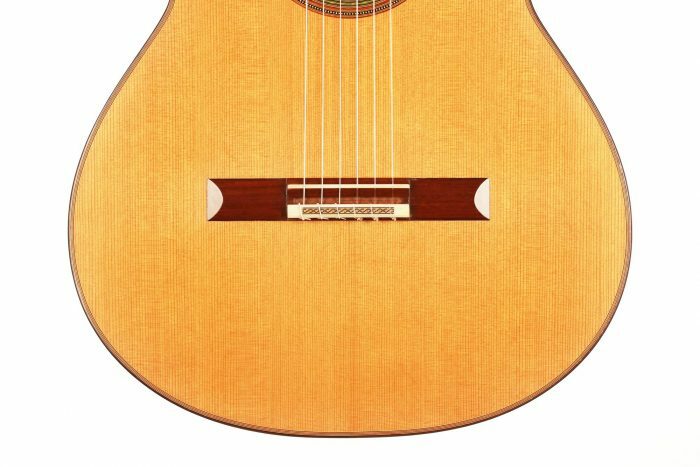 In addition, this guitar is well balanced, powerful, and remarkably dynamic.